Goosse H., P.Y. Barriat, W. Lefebvre, M.F. Loutre and V. Zunz, (2008-2010). 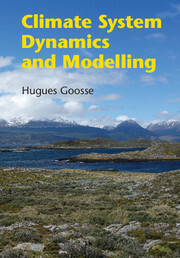 Introduction to climate dynamics and climate modeling. Online textbook available at http://www.climate.be/textbook. The goals of the book are described in the Preface and in the About link above.